Still learning a lot about R, so I apologize if I'm violating any norms here. I'm using blogdown for my personal website (hosted via Netlify). I'm authoring a post and, specifically, I'm trying to insert scholarly references into this blogpost. Unfortunately, the citation key is not being read for some reason. I'm particularly interested in incentives to institutions and researchers for making their work essentially "born open" [see @rouderWhatWhyHow2016]. I've checked to see if the citation key accurate (it is). There are no errors that are generated when the website is rendered. In fact, the text above is exactly as is it renders online. title: What can open science learn from how we fight pollution? So from what you posted, I can see that you have done 2 and 3. What we can't see is that the .bib file r-references.bib is in the same folder as your blog post. Is that true? If it is, can you share a GitHub repo with your code? Other things I can't see: what versions of Hugo and blogdown you are using- are they up to date? As a troubleshooting strategy, have you tried following the blog post to add cites for R packages using knitr? This way you could rule out whether this is an issue with your .bib file versus blogdown. Thanks for the guidance, but I'm still having some trouble. My Github repo can be found here (https://github.com/chriscastille6/website). 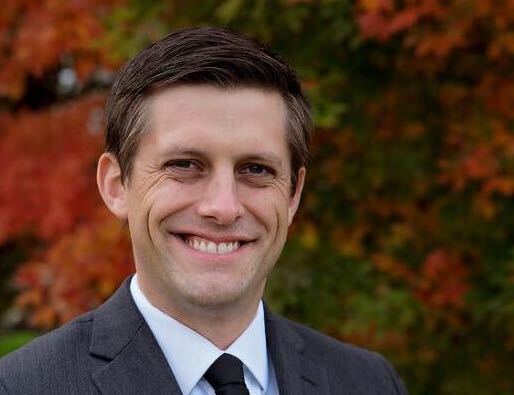 The issue may have to do with the bib file is being referenced. I'm using the citr package to manage my citations. That might be causing a problem. Using your site locally, I cannot get your bibliography to show up for that post either. 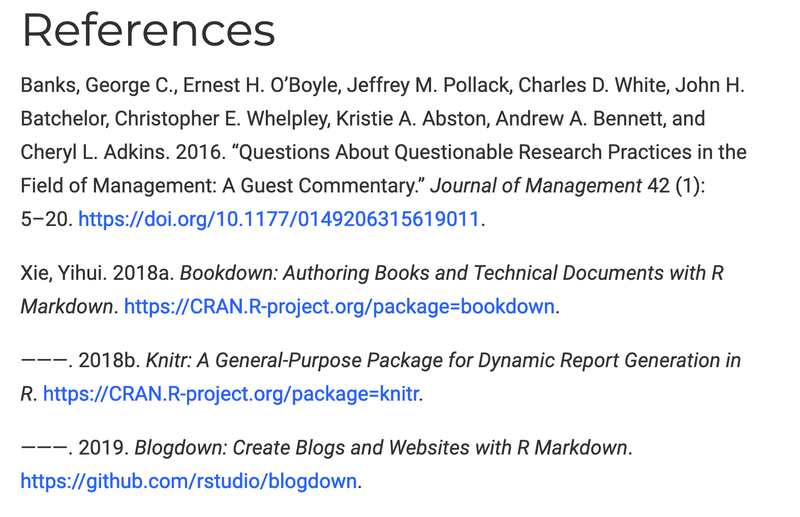 But, in a new post citing R packages (I copied from this blog post: https://raw.githubusercontent.com/rbind/blogdown-demo/master/content/post/2017-08-28-adding-citations-to-posts.Rmd), I was able to get them to show up. I went back to your repo and realized you are using .Rmarkdown posts instead of .Rmd. Interestingly, that matters! Contribute to apreshill/website-1 development by creating an account on GitHub. If you have a query related to it or one of the replies, start a new topic and refer back with a link.